The Sea Otter 31 is a popular compact narrowboat that can easily be trailered, being built in light weight aluminium. She has had 2 owners from new and now benefits from a bow thruster, cratch and cockpit covers, all. The interior layout has a host of good features and makes the maximum use of space. She is responsive and easy to handle being able to turn in almost her own length with the help of the Vetus bow thruster, hence a perfect starter boat and an ideal weekender/cruiser. 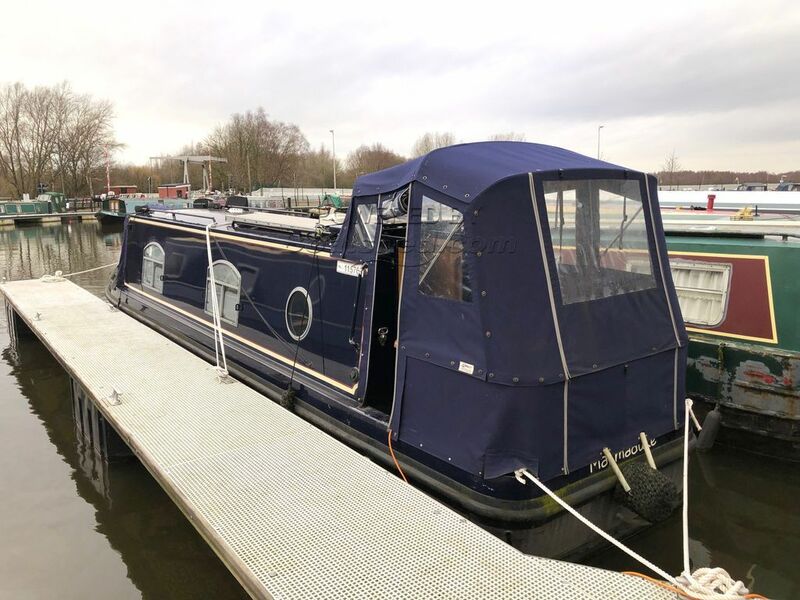 The boat is fitted out to a very high specification and although it is claimed they can sleep four people, two of those people would be on the collapsible bunk beds that convert from the dinette. More suitable for 3 adults or 2 adults and 2 children really. The boat is fitted with Venetian blinds to the windows. This Sea Otter 31 has been personally photographed and viewed by Paul of Boatshed Lancashire. Click here for contact details.